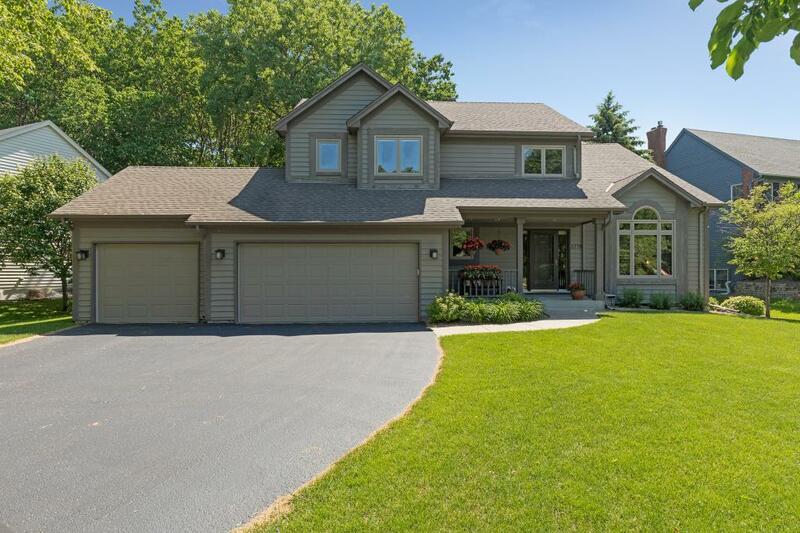 Must see meticulously maintained 2 story nestled on corner lot in highly renowed Woodlands neighborhood & ISD 196. 4 beds on one level, 3 spacious living areas, formal dining, rec. room plus exercise/craft room. Granite & quartz counters. Wood floors. Basement equipped to entertain w/ heated floors. Private back deck surrounded by mature trees. Newer roof, AC, furnace & water softener. Very convenient location for your new home!